One of my favourite designers on the planet, Machine56, has another piece of Borderlands-inspired gear up for sale on his store. It's pretty great. Like I said last time, I don't even like Borderlands that much, but would still wear this any day of the week. Well, provided I lived somewhere cooler. 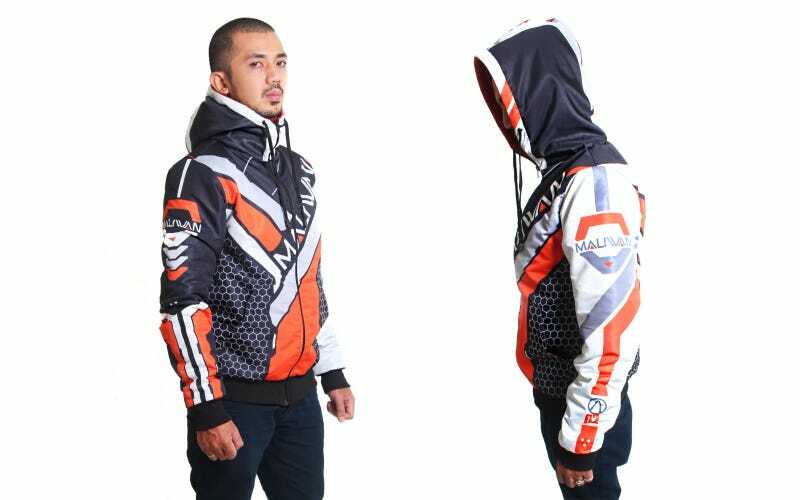 While it looks like a hoodie, this is actually a kind of jacket/hoodie hybrid, with three layers of material, the outer-most one being waterproof. It's officially-licensed by Gearbox, and you can preorder it from Machine56's site.